Tappy Tech provides the ‘Missing Element’ — a unique card provisioning solution for the timepiece and jewellery market that will facilitate the mass adoption of wearable payments. 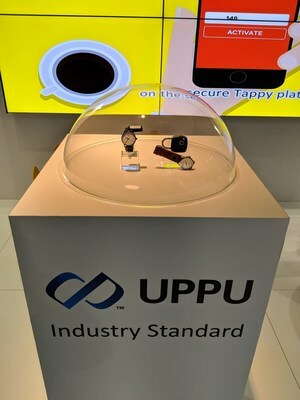 HONG KONG, March 18, 2019 /PRNewswire/ — Tappy Technologies is proud to introduce its one-of-a-kind portable card provisioning solution – Universal Passive Provisioning Unit – at Money20/20 Asia in Singapore. This technology allows consumers to input their credit or debit card information into their traditional watch and jewellery, providing them with the convenience in making purchases while remaining stylish. Tappy Technologies (Tappy Tech or “Tappy”) has been making the headlines in recent years by developing a payment solution in the form of a battery-less chip that can be embedded into any watch or jewellery. This technology is highly secure as users must verify their identity with their fingerprint before being able to make purchases. 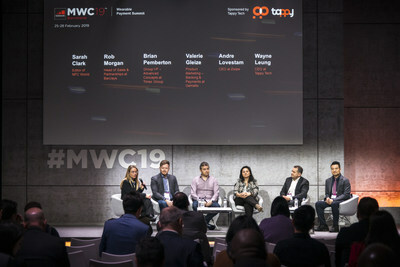 Speaking to the world’s leading technology experts at the Mobile World Congress last month, Tappy Tech’s CEO Wayne Leung explained that there are two main factors in attracting consumers into purchasing a watch — one being the prestigious design and second, the functionality. With this in mind, Tappy is aiming to merge the US$20 billion traditional watch industry with its technology to further popularize wearable payments. “If we want to see mass adoption of payment enabled wearables then we must look beyond traditional methods of card personalization. Tappy aims to scale the wearable payment business globally by empowering the end users themselves to seamlessly, ‘On The Go’ transfer their existing card information securely into their favourite branded watch, jewellery or accessory,” said Leung. Tappy has already established a complete Wearable Payment Ecosystem which includes companies from the traditional watch, jewellery, major card schemes and the banking industries. Tappy offers its certified Wallet Application and Platform to its brand partners, enabling them to turn their products into cutting-edge mobile payment carriers and allowing them to tap into this thriving mobile payment market. Tappy Technologies is a world-leading wearable payment integrator connected to banking partners and card networks with operations that span across North America, APAC and EMEA. Tappy’s white labelled digital offerings and hardware solutions are fully trusted and certified by industry standards including PCI and EMVCo.